A new rendering has been revealed for the highly-anticipated Long Island College Hospital redevelopment, dubbed River Park. The final tower for the project, 5 River Park, located at 347 Henry Street, is slated to be a fully residential building. The structure will rise 15 stories and offer up 91,000 square feet of space. The lot is part of the larger project being developed by Fortis Property Group, and will spread across the Cobble Hill neighborhood of Brooklyn. 5 River Park will offer a total of 30 condominiums ranging from studios all the way up to four bedroom units. The developer is describing the design of the building as contextual, featuring a combination of brick facade and modern concrete with a dark grey finish. Apartments on the left side of the building will also offer residents private balcony space. The ground floor will bring parking facilities as well as lobby space, and an outdoor swimming pool. Residents will also have access to a host of amenities on the second floor, including a roof terrace, play area, a gym, and lounge. The architect behind the design is Romines Architecture PLLC. 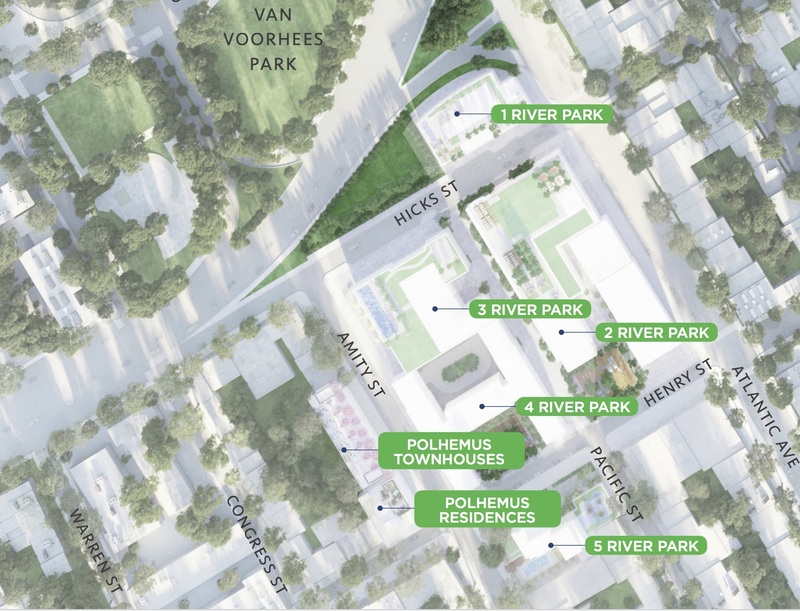 The remainder of the River Park project will feature two more residential buildings as well as a tract of townhomes. 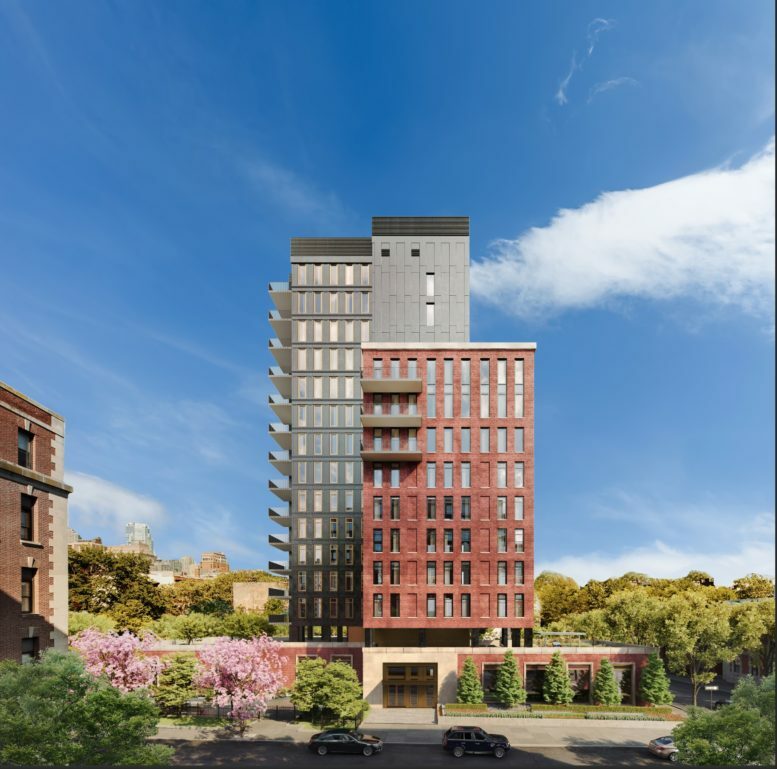 Fortis Property Group is touting the eventual completion of the project as a “dynamic new neighborhood that will form the gateway between Cobble Hill, Brooklyn Heights and the Brooklyn Bridge Park and Marina”. They are also using a different architect for each tower to denote a an individual look, rather than cohesive mass development. 5 River Park is situated four blocks west of the Bergen Street subway station, which offers service on the F line connecting to Manhattan, as well as the G line. Bus service on the B61 and B63 lines are found one block directly north, on Atlantic Avenue. 4 Comments on "LICH Redevelopment’s 5 River Park Revealed in Cobble Hill, Brooklyn"
Absolutely awful! Fortis is the worst! No taste whatsoever. C’mon guys – how about hiring a decent designer? Why bother calling out the Bergen Ftrain stop as a feature, everone knows thise mirning trains already have no space in them when they pull into Carroll St. They realy need to find some other way to get their occupants into work in the morning.